Life is poised at the beautiful juncture and from here on its all about bigger dreams and aspirations. So much to do not only for ourselves but also our loved ones becomes paramount; most of my dreams are centred around my little princess and my husband. Little by little the list keeps growing and wishes become wants that demand to be fulfilled. Sometimes categorization comes into the picture and some are on the Yes list and some go directly into the No list, while some are debated at the Maybe list. Apart from the zillion things that I dream about in my life, a few of them have never remained unchanged over the last decade or so. New Zealand has been my bucket list for a long time, and not in the traditional way of a fortnight in the tourist spots. I want to spend a year experiencing the local life, working through the communities of expats, and indulging in every opportunity the land offers. 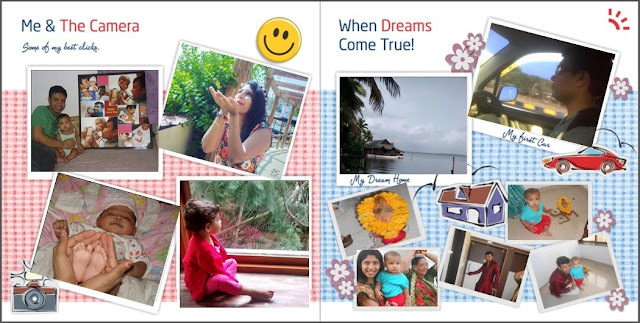 Given that #PrincessHeer just turned three and a wedding is nowhere close even in the mind, a mother’s heart already has a lot of dreams. A destination wedding in a romantic city like Paris or on a private island in Thailand with loads of ceremonies lined is being organized in my mind since the first time I held her in my arms. One of the most important things that I’ve always wanted is to retire financially sound and monetarily sound. Once we kick off the office shoes, I want my hubby and myself to be self-sustaining in every way. Be it wanting to travel, or a medical emergency or a celebration that arrives, we should be able to fund every stage of our life ourselves without having to depend on anyone. And an added bonus would be to leave a legacy for our children to cherish must after we have gone. And to take these dreams from wishes to reality we need to plan well in advance both in terms of timelines and financial capabilities, just like this couple. Money matters take precedent to everything else as your dreams are largely dependent on a well-planned life for a beautiful tomorrow. Sometimes keeping track of what you want and how you want to achieve them help in accessing where you stand from time to time; because Kal Khoobsurat Hai. 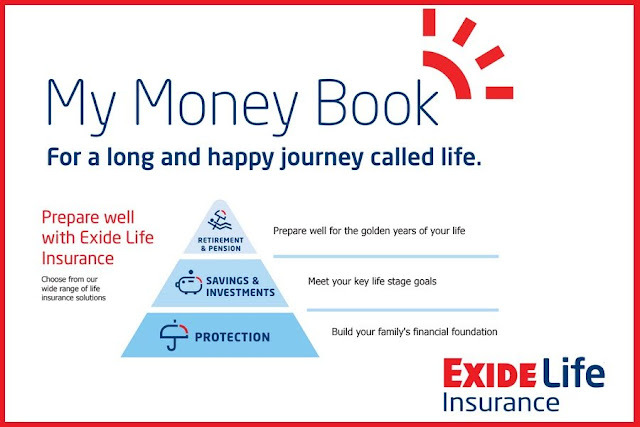 Exide Life has created a rooster of sorts to work in tandem to help you get to where you want. Exide Life’s My Long & Happy Life Scrapbook is exactly what it seems – a scrapbook to design your life the way you see it today; outlining your past, present and future. The second book is My Money Book that focuses more on the financial planning and security that you need to arrange in order to fulfil everything outlined in the Long & Happy Life Scrapbook. 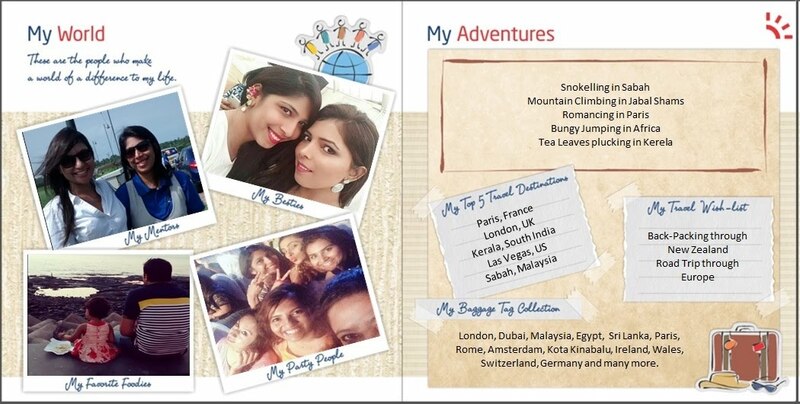 The moment I lay my hands on the books, I started working on the scrapbook instantly. It is such a glorious thing to dream and design a long and happy life. What I loved about the ‘My Money Book’ was the systematic categorization of various aspect of financial planning and an organized approach to record keeping. Not only is it a simple tool that goes a long way in ensuring all the necessary details of financial transactions are available in one single place but also is a go-to instrument in case of emergency when the head of the family is unavailable. So don’t waste a single moment, and request your very own ‘My Money Book’ and start designing your future with a record-keeping tool of your financial engagements.